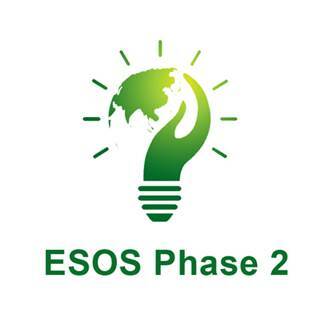 Despite Brexit, Phase 2 of ESOS began on 6th December 2015. As with Phase 1, this is a four year phase and compliance must be notified by 5th December 2019. In their June ESOS newsletter, the Environment Agency (the scheme administrator) have confirmed that Phase 2 has begun and have recommended getting started on auditing for compliance now. Companies with more than 250 members of staff OR with a turnover in excess of €50M and balance sheet in excess of €43M will qualify for Phase 2 of ESOS. The Energy Savings Opportunity Scheme (ESOS) is a mandatory UK scheme, in response to an EU directive. Despite originating from an EU directive, ESOS itself is UK regulation and additionally the Great Repeal Bill is due to convert EU law (as it applies in the UK) into domestic law on the day the UK leaves the EU. Therefore it is highly unlikely that the ESOS regulations would be changed prior to the notification deadline for Phase 2. Purchase Direct successfully supported a significant number of companies through ESOS compliance for Phase 1 and we will continue to provide a fully managed ESOS service for Phase 2 of the scheme. A number of our Phase 1 customers had their compliance audited by the Environment Agency and were all deemed to be fully ESOS compliant, with no remedial actions required. Some aspects of our approach to ESOS were highlighted by the Environment Agency as examples of best practice. This was a fantastic achievement as it puts Purchase Direct’s customers in just 16% of companies which the Environment Agency found to be fully compliant, with no remedial actions needed, as part of their compliance auditing. Purchase Direct will continue to provide their proven and complete ESOS service for Phase 2 of the scheme.